Our rooms offer you a home away from home, a quiet space with sunlight and tranquility. 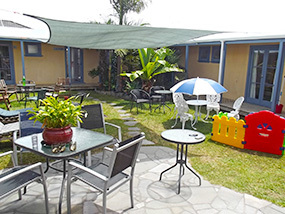 All rooms open out onto the sunny innercourt, with shared bathrooms, laundry and kitchen. Take a look at our Facilities for more details. 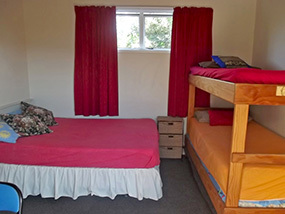 We have a variety of rooms: single, double, twin, triple, family, shared and dormitories. 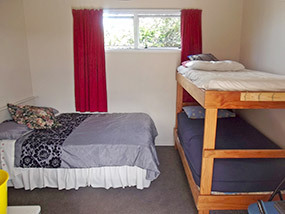 Our larger rooms and dormitories are ideal for a group of friends or large family travelling together. We have Private rooms with TV. 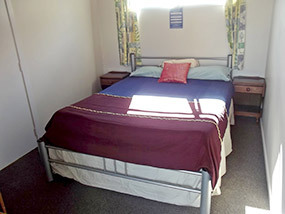 Made-up beds and en-suite bathrooms are also available. Ideal for a small family, or if you wish to have greater privacy.